Get Healthy With Whole Food Supplements From Diverse Health Services! Here at Diverse Health, we understand the importance of having supplements that are 100% organic. Many different vitamins and supplements available today are made with chemicals and ingredients that are not natural, whole, or organic and therefore potentially harmful to your body. There are also many providers who have organic supplements that are overpriced or available without much information behind them. That is where Diverse Health is different. Our organic products are available to all of our patients, and our professional team of doctors can help educate you on what organic supplements you need. 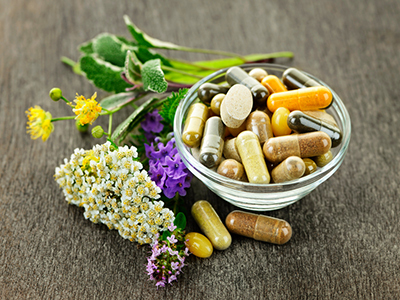 Our Doctors have the knowledge and experience to be able to prescribe the perfect natural supplements for your ailment. We believe that the best method of treatment is that which is all natural and proactive, utilizing the ingredients that our ancestors have used successfully for thousands of years. Our natural supplements are used for helping to treat such ailments as anxiety, infection, blood pressure, heart health, excessive hormones, musculoskeletal, weight loss, and so much more! If you're interested in seeing all of the products available as one of our patients, contact us to learn more today about our patient services and products. The idea of consuming whole foods is becoming more and more popular, and we couldn't be more happy about it. All of our products and supplements that we have available to our patients are made purely of whole foods and ingredients, so you know that you're only consuming the best products for your body. Our team of doctors have knowledge in the natural care and nutritional fields, which benefits you when it comes to picking the best and healthiest whole food supplements available to you. While you can find many of these supplements in stores or online, the benefit you have with Diverse Health Solutions is that our supplements are affordable and come with a professional custom assessment from one of our doctors. Our Doctors meet with you one-on-one for a specialized and custom nutritional plan to help assess your needs and offer you the best whole food supplements available on the market today.